Who changed more in the last two years: Eric, or Dylan? Summarize how each of them changed, if at all. Did you ever feel sympathetic toward one or both of the killers? If so, where did this begin? How did you feel about having that response? What do you make of the relationship between Eric and Dylan? Did it remain consistent throughout the book? If there were shifts in their roles, can you pinpoint when and why this happened? Was the concept of psychopathy useful in understanding why Eric did it? What are the limitations of psychopathy in explaining it? Was the concept of depression useful in understanding why Dylan did it? What are the limitations of depression in explaining it? A year before the murders, Dylan told Brooks Brown about Eric’s website. Brooks found death threats there and told his mother. Why do you think Dylan did this? Was this a cry for help? Was he trying to derail the plan? If so, why did he never do anything else? Who is responsible for what happened: just the killers, or others, too? Which characters had reason to feel guilty? Who do you think still feels guilty now? Were Eric and Dylan equal partners in planning and instigating the attack, or was one more dominant? If so, how did one coax or manipulate the other? Do the psychological designations of psychopathy or depression make either killer more or less culpable? The Browns reported Eric’s website to the sheriff’s department. Why do you think it was not taken seriously? Discuss the differing parenting styles of Wayne & Kathy Harris, and Tom & Sue Klebold. Would you describe each as strict or lax? 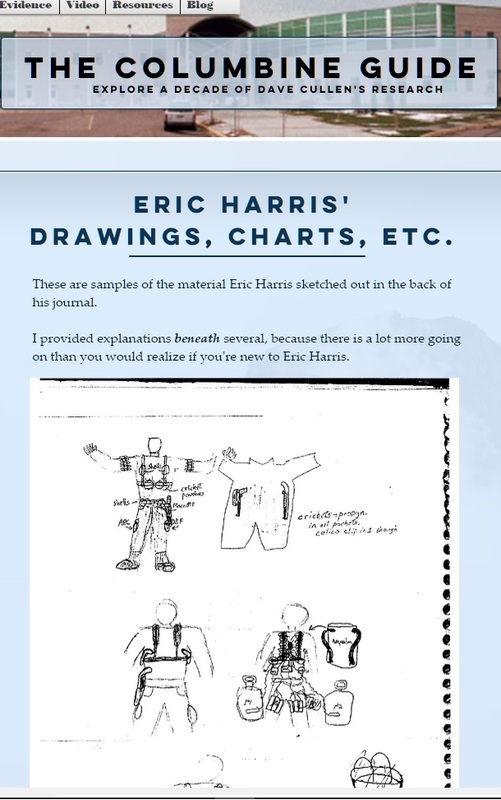 When Wayne Harris discovered Eric had made a pipe bomb, how did he react? What would you have done? What would you have done after Eric or Dylan was arrested? Do you think Eric would have attacked Columbine if he never had met Dylan? How about Dylan, if he never had met Eric?